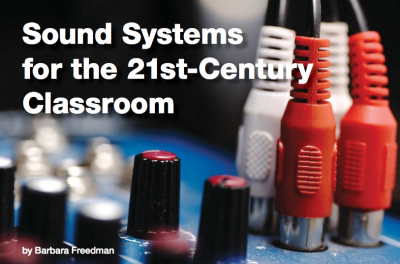 My article, “Sound Systems for the 21st- Century Classroom” was featured in the November 2016 Texas Music Educators magazine Southwestern Musician. To see a pdf version of the article, click HERE. Some of the items referenced in the article can be seen in the links below. The are examples of some of the products you can use in your classroom. Other brands may serve as well.